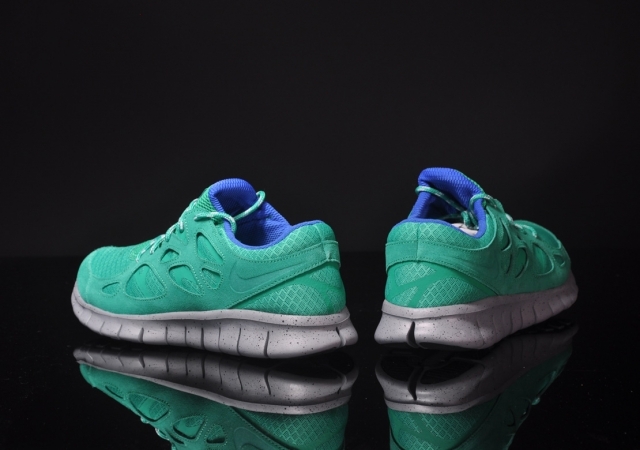 Previewed during the late summer as part of a new "Suede Pack," Nike presents a new Stadium Green colorway of the popular Free Run+ 2. 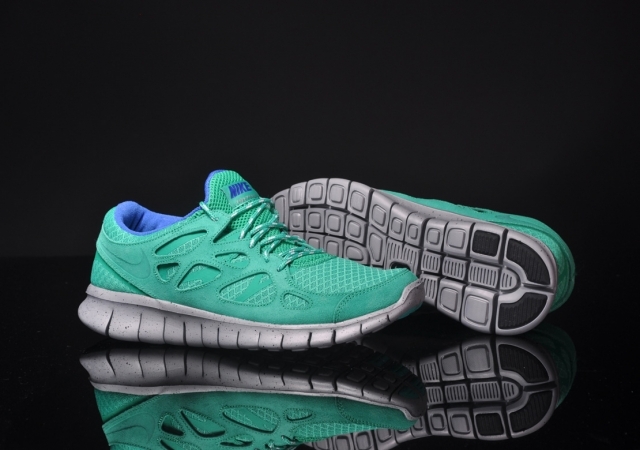 Previewed during the late summer as part of a new "Suede Pack," Nike presents a new Stadium Green colorway of the popular Free Run+ 2. 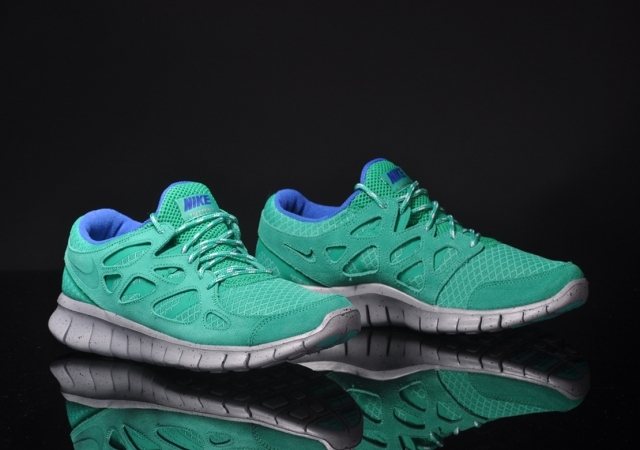 This updated colorway features a lightweight mesh upper with suede support overlays (replacing the original support cage), all sitting on a speckled Nike Free sole unit. 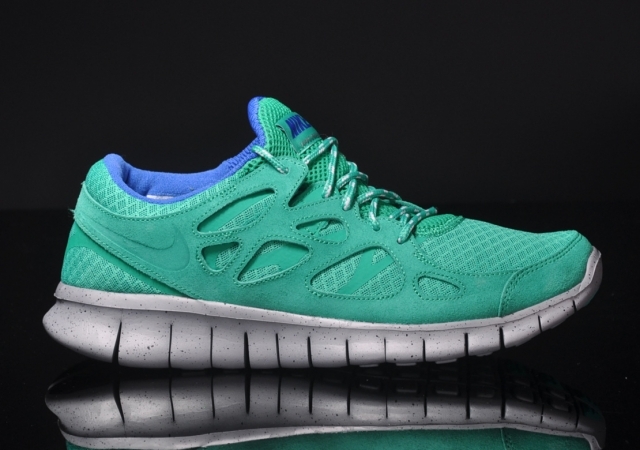 The "Suede Pack" Nike Free Run+ 2 in Stadium Green / Metallic Silver is available now at afew.